Before getting to tonight’s music byte, we would like to congratulate the Boston Bruins again. Tonight they won game 3 of their series against the Philadelphia Flyers and now hold a commanding three games to zero lead heading into Friday night’s match in Philly. Here we go Bruins, here we go! 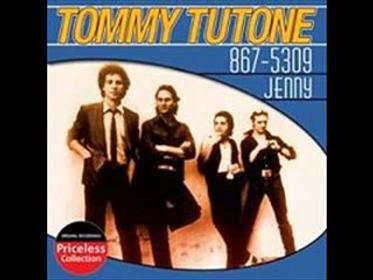 Tommy Tutone is a power pop-rock band, best known for its 1982 hit “867-5309/Jenny”, which peaked at #4 on the Billboard Hot 100. Although it is usually referred to as a San Francisco band, it was actually based in Willits, California, at the time that “Jenny” was released. The song became so popular that people in the United States to this day dial this telephone number and ask for Jenny as a prank. Regarding the famous number, “We had people threatening to sue us. It was the Buffalo Chief of Police’s daughter’s number in New York,” said frontman Tommy Heath. Although the band is frequently remembered as a one-hit wonder, it had another top-40 hit on the Hot 100 with “Angel Say No” in 1980, predating “Jenny” by a couple of years. On a personal note, the song “Jenny” brings back many memories of college fraternity parties for good ol’ Lynnrockets. Please enjoy Tommy Tutone performing the song live in this video clip. When you write a blog you hope to elicit insightful comments from your readers so as to stir up debate on a given topic. Unfortunately you also attract many spammers that post comments in an attempt to lure readers to their websites to purchase such things as performance enhancing drugs and credit monitoring services etc. Most of these spam comments range from vague to completely inane. 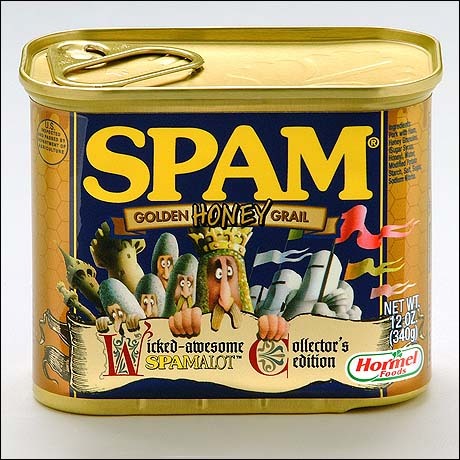 Today we thought it might be fun to post a few spam comments for all to see. Hello! ekekaee interesting ekekaee site! I like the way things get done around here…. Well, that was fun. tomorrow Lynnrockets’ Blast-Off will get back to the politics. Until then, please enjoy today’s Sarah Palin song parody. The following song parody is in the form of an open letter to Lady Sarah herself. Please enjoy. Click on the song link below to have more fun singing along. The First Dude’s really a joke. Not to mention your other kinfolk. You stole our hearts then threw that love away!